19 Oct 2015 What Happened to Strategic Patience Mr. Kerry? 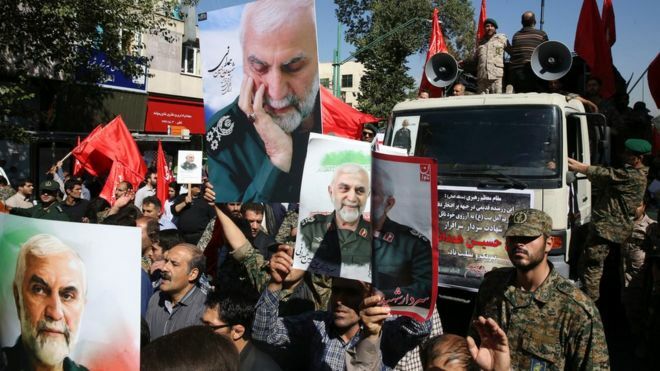 In London, last week, Deputy Foreign Minister Hossein Amir-Abdollahian conceded that Iran has boosted its military presence in Syria. At the same time, he said publicly what other officials have said privately for more than a year—that Iran is not wedded to President Assad in the long term. “We are not working for Assad to stay in power forever as president,” he told the Guardian. “But we are very cognizant of his role in the fight against terrorism and the national unity of that country. The people of Syria will make the final decision—and whatever decision they take, we will endorse.” In the meantime, the death toll rises for all involved.